Regatta is a maritime inspired collection that features colorful sailboats, embroidered waves and friendly seagulls. Rich, beautiful and traditional navy, green, red, white, and blue on soft brushed twills and chambrays gives this collection it's clean and crisp design. 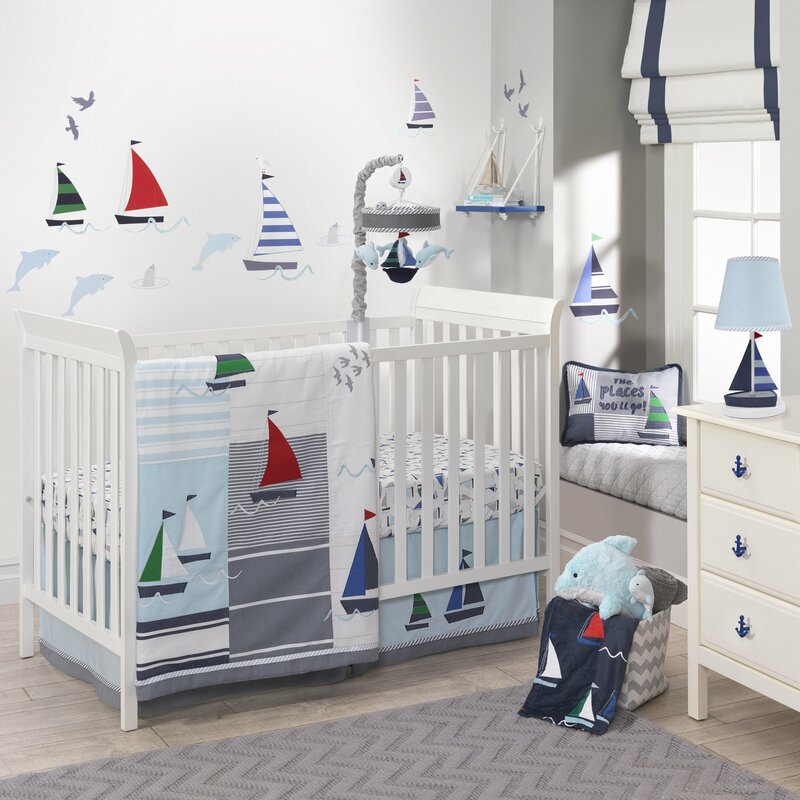 Five piece musical mobile with a peek a boo seal, a sculpted sailboat lamp, and a super soft sail away navy plush blanket are additional matching items that are available and sold separately to complete the look of your nursery. This cuddly soft blanket is made of a luxury coral fleece and is generously sized at 30” x 40”. 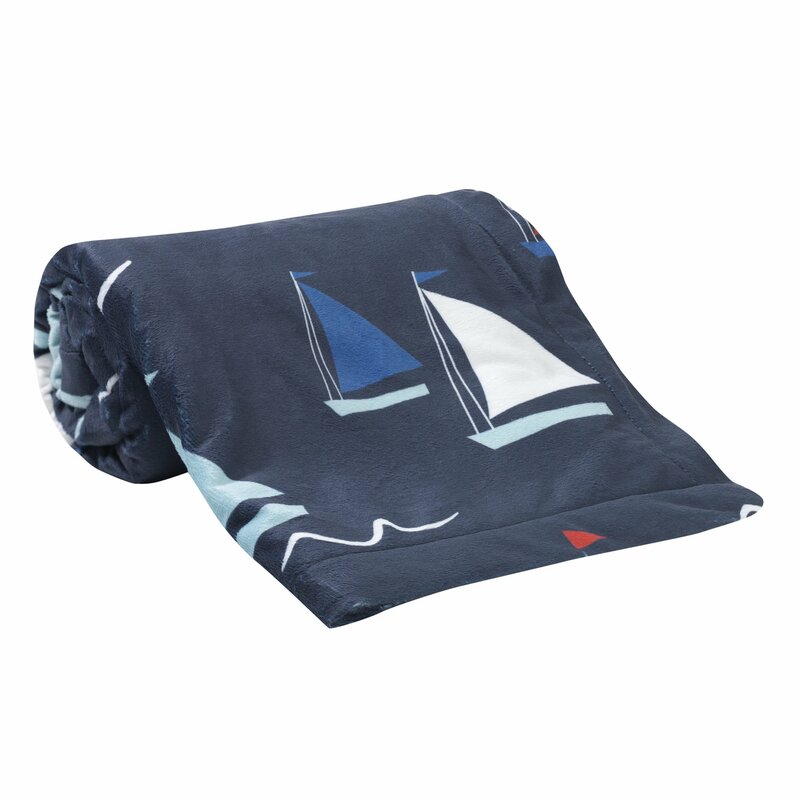 Colorful sailboats in red, white, blue, and green along with white waves decorate this handsome navy blanket. Made of 100% polyester. Care Instructions: Machine wash cold with like colors. Gentle cycle. Do not bleach. Tumble dry low. Imported. Warm and cozy. Generously sized at 30" x 40". Made of 100% polyester.